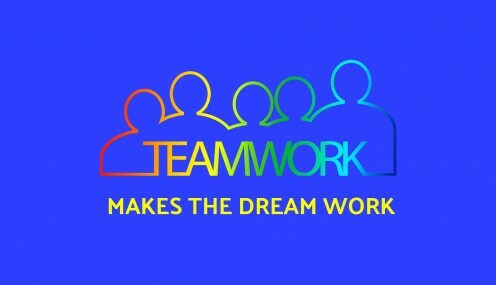 We have all heard the expression “teamwork makes the dream work.” It means that working together with others, as part of a team, is the best way to achieve a goal. We are constantly working together as a team—in our home, in social groups, in school, in business, and most of all, in sports. In fact, one of the primary reasons we encourage young kids to get involved in team sports is so that they will learn teamwork. Teams are a very important part of our lives, but have you ever sat down and thought about what qualities are required for a good team? Apparently, many people have because I found hundreds of quotes from famous people about teamwork. I’ve taken the best of these quotes and organized them into a few general categories. I hope these notes and quotes help you to understand teamwork better and make you a better team player. Teamwork is essential in many aspects of life. Consequently, it is important to understand what it means to be part of a team and the meaning of teamwork. The Merriman-Webster Dictionary gives even more detail in its definition. Is a Team Greater Than the Sum of Its Parts? Teams can accomplish what an individual alone cannot do. Something magical happens when individuals come together as a team—they can accomplish so much more than could be accomplished if each of those individuals put out the same amount of effort working alone. “Great things in business are never done by one person; they're done by a team of people." Why Are Individual Contributions Important? Each individual member of a team has a specific role or a specific function. These different individual contributions determine the success of the team. A team needs members with diverse skills. Each member contributes by doing what he does best. It may sometimes seem like some team members are more important than others. However, it’s important to remember that everybody on the team is essential to the success of the team. Why Is Coordination, Cooperation, and Collaboration Important? The magic of a team is teamwork. There is coordination, cooperation, and collaboration among the team members.The team plans for success by developing a strategy and then working together to achieve the goals. 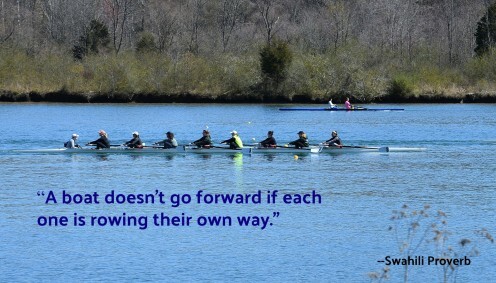 “A boat doesn't go forward if each one is rowing their own way." 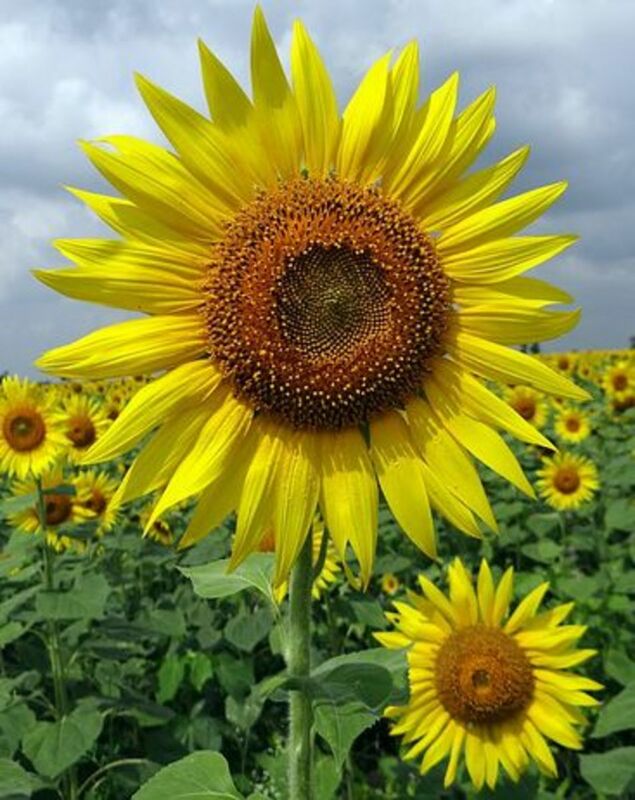 Why Must the Individual Be Subordinate To the Group? This is very evident in sports. One player sacrifices his own chance to score and gets the ball to another player who is better situated so that player can score the points for the team. ”I am a member of a team, and I rely on the team. I defer to it and sacrifice for it, because the team, not the individual, is the ultimate champion." “The team must have a feeling of unity; every player must put the team first ahead of personal glory." Build for your team a feeling of oneness, of dependence on one another and of strength to be derived by unity." Why Is Team Spirit Important? Team spirit might be called the psyche of the team. It includes motivation, but it also includes the way that team members relate to each other. There needs to be open and honest communication and trust. There needs to be recognition for a job well done. There needs to be a desire to confront mistakes, learn from them, and improve. “Teamplayer: One who unites others toward a shared destiny through sharing information and ideas, empowering others, and developing trust." ”The greatest danger a team faces isn't that it won't become successful, but that it will, and then cease to improve." Some sports can be played one-on-one or as part of a team. Which do you prefer? I prefer to play as an individual--for instance, singles tennis. I prefer to be part of a team--for instance, doubles tennis. You make a very good point. Getting a bunch of people to behave like a "well-oiled machine" with all the parts working together to produce a result requires a lot of practice and motivation. It is wonderful to be with a team when it works well. Nothing can beat it in terms of performance but it is hard to achieve. Ann Carr: Thanks for sharing your story about your granddaughter. The quote about harmony is a favorite of mine also. It's great when a team works well together. As a teacher I've been in quite a few teams and led some; I know it's not always easy! My granddaughter is fast becoming a wonderful team player as she seems to have a natural talent for getting on with others and being tactful, with humour. Patricia Scott: Thanks for your comment. 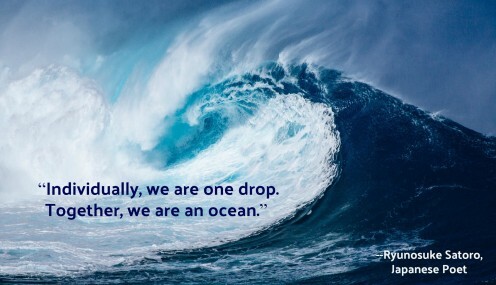 You pick for the best quote on teamwork is right on the mark. A simple change of preposition can make all the difference. It has always been my contention that we do not need to try to reinvent the wheel with our words...IF someone has already said it better, with more clarity, and more succinctly . Barbara R: Thanks for your comment. Teamwork is something we all do in our daily lives, whether it is planning a potluck or coaching a little league team, but we seldom think about what the components of teamwork are. I wanted to call attention to what makes a team work. That's quite a collection of quotes on teamwork. I learned most about teamwork when playing basketball in high school. Now I appreciate it in my Facebook blogging groups. Linda Crampton: Thank you for your kind words. I like to collect quotes because they are a good way to remind myself of important values. I love the quotes that you've shared, Catherine. Your article is a great reminder about the value of teamwork. 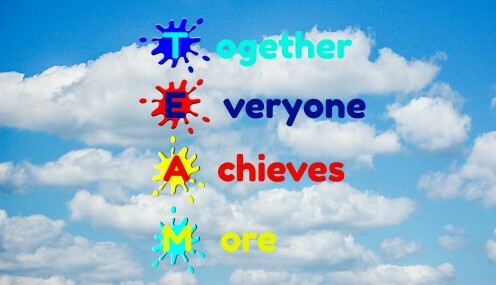 @realDonaldTrump "Teamwork: Simply stated, it is less me and more we." --Anonymous. My twitter handle is talksallabout You can like and retweet. FlourishAnyway: You got me laughing. maybe I will tweet a quote to Trump. It would do him good to learn a little about teamwork. Thanks for the idea. I used to teach small group behavior in college. It’s funny how some people excel at working with others collaboratively while others resist it with all their might. Immediately when I saw this article I thought Trump could learn a thing or two if you could pick your favorite quote and tweet it to him. He wouldn’t have the attention span to read an article but maybe 140 characters. Thanks, Dora, for your comment. I agree that a team that is bound together by love is bound to be a winning team. So far in the comments, every one names a different quote as their favorite. I find that very interesting. Eric Dierker: You always write inspirational essays so I am particularly pleased that you found my essay inspirational. The teamwork that occurs within a family is extremely important. I need to search out some quotes for that. Nicely done as always. I have played a bunch of teams sports from Mountain climbing to football. I have coached a bunch. And I have been captain several times. The best teamwork that I am so sinfully proud of is my family. Work together with a common goal and no mountain cannot be moved. "Because they loved one another." This is the best motivation for team work. All great quotes, but this by Lombardi is my favorite. Thanks. 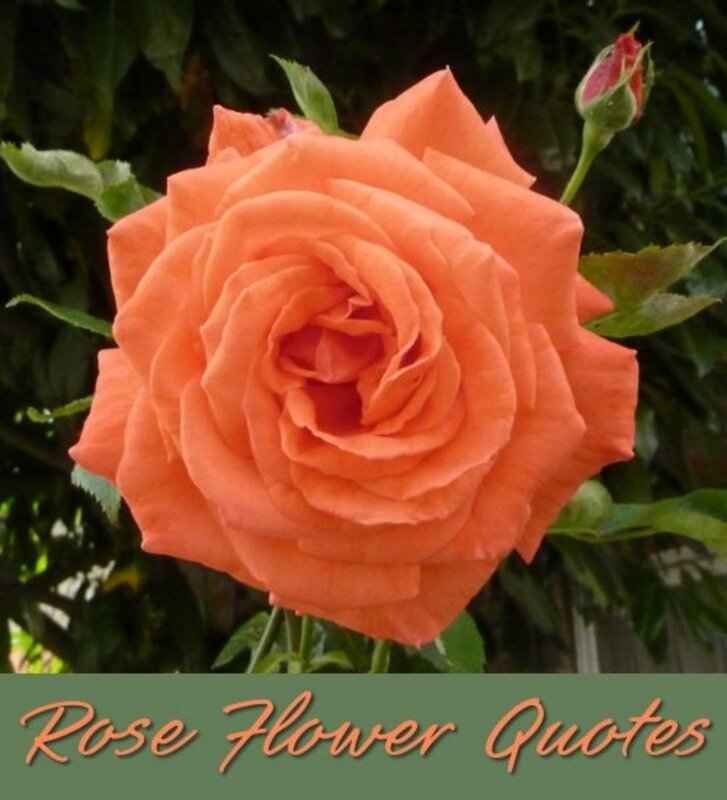 Mahaveer Sanglikar: I'm glad to hear that you found this collection of teamwork quotes inspiring and motivating. I think we all need to be reminded sometimes. I wrote this so that I myself would better understand the value of teamwork. Peg Cole: Thanks for your comment about the value of teamwork. I agree with you that quotes like these inspire us to be better team players. 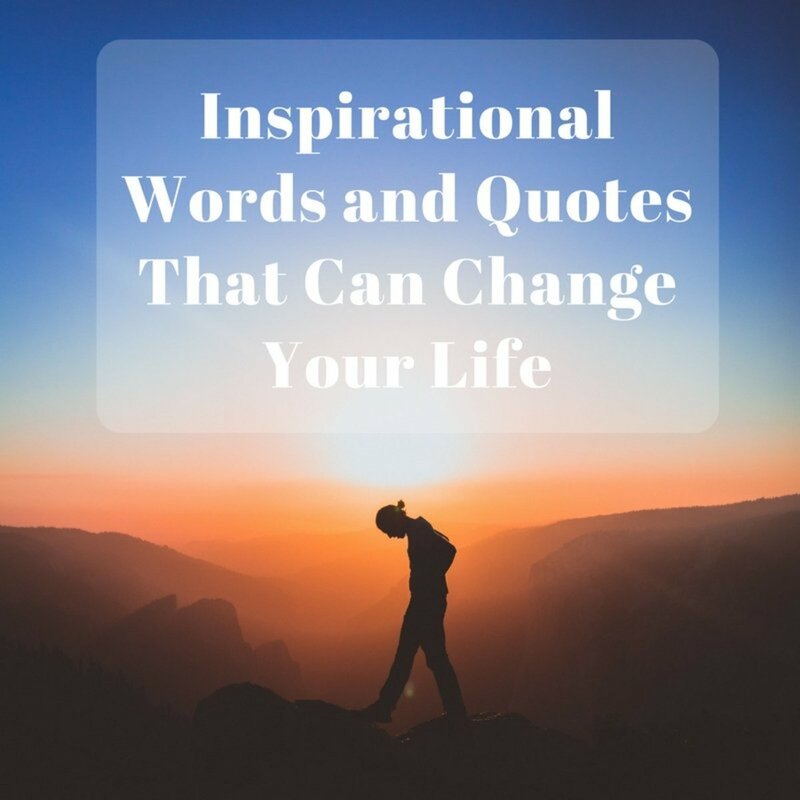 These quotes are very inspiring. They motivate us. These are great words from a lot of people whose success is well established. I really like the Swahili proverb and the Andrew Carnegie quote.